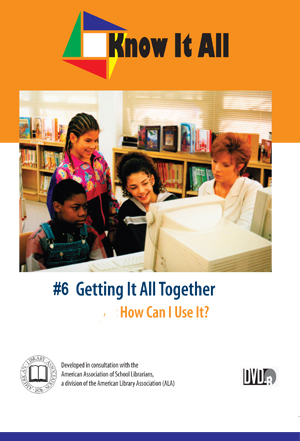 Home > • Language Arts > Know It All > Getting It All Together : How Can I Use It? Jim thinks he has his author report under control after setting up an interview with the author. But the interview is too short, and Jim has trouble keeping track of his notes. His friends and his teachers help him develop the organization he needs in his report—and in his life. Classroom activities help your students gain an understanding of organizational schemes they can put to use in their own projects.